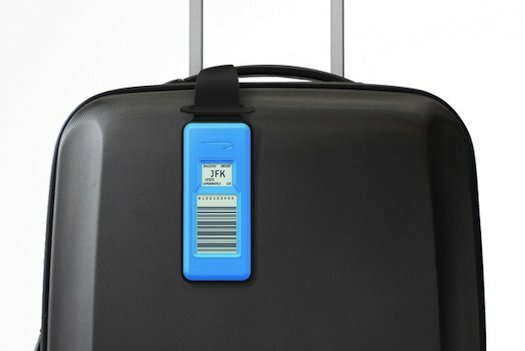 British Airways intents to replace classic paper tags and is testing reusable luggage tags made from electronic paper. Flight information can be transmitted to the tag via the ticket holder’s smartphone, using data from the airline app stored after digital check-in. Currently operators print off individual paper tags for every bag checked in before each flight. The electronic tags are to be tested by staff before being made available to some passengers later in the year. If these tests are successful, the tags will launch in 2014. Despite various changes to try to speed up airport check-in procedures, the process of dropping off luggage had remained time consuming, said a BA representative. “The old security questions such as, <<Did you pack your bag yourself?>> are no longer a legal requirement, but the idea of queuing to check in your bag has never gone away,” he said. Customers at some airports can now print out their own luggage tags at kiosks, but that still requires more time – and paper – than scanning information direct from a phone, although it is considerably cheaper for the airline. “[The e-tag] is more expensive, but ultimately it is re-usable – you would acquire and use it multiple times,” said Lewis Freeman, an industrial designer from Designworks, which worked on the electronic tag casing.